A straw set is a great way to get fabulous, tight curls on a budget. It can be a versatile style, and doesn’t require any special skills on your part. The best part is, most of the supplies can be found in your local dollar store! Separate clean, damp hair into 4 large sections. In one section, separate a small section and clip the rest back. Apply a small amount of moisturizer and gel to the section and work through, focusing on the ends of the hair. Detangle this section to remove knots. If your hair is short, you may want to clip the straws to a shorter length for comfort. Wrap the hair around the straw in a spiral pattern until the straw is flat against your scalp. Insert a bobby pin into the end of the straw nearest your scalp to secure. Once all hair is secured in this manner, tie a silk scarf to protect your hair while it dries. This can be underneath a dryer or air drying overnight. 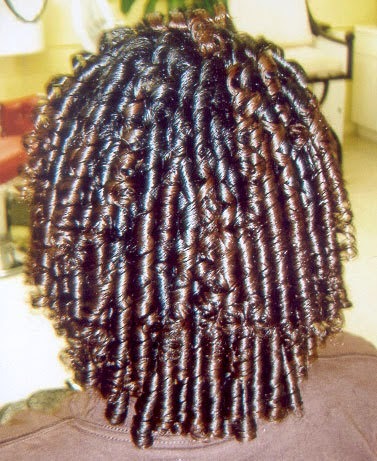 Once dry and cooled, remove the bobby pins and straws. Take care to follow the direction of the curl to minimize frizz. Style as desired! You look fabulous! Enjoy! And don’t forget to share pictures of your fabulous DIY ‘do on our Facebook Page! !